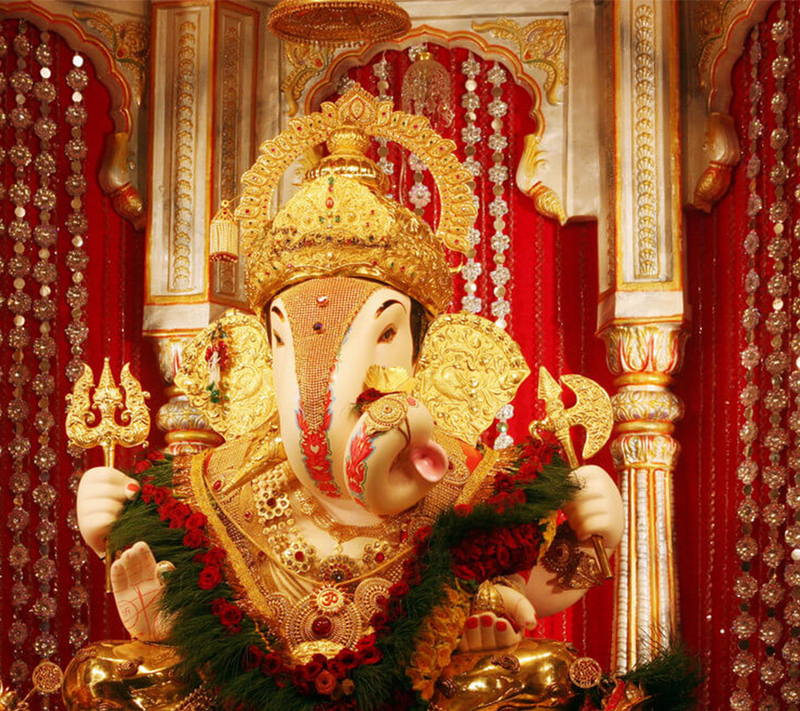 Shreemant Dagdusheth Halwai Ganapati Temple (Marathi: श्रीमंत दगडूशेठ हलवाई गणपती) in Pune, India is a temple dedicated to the Hindu God Ganesh. The temple is located a short distance from the historical Shaniwar Wada fort, which was administrative headquarters of Peshwas of Maratha Empire. 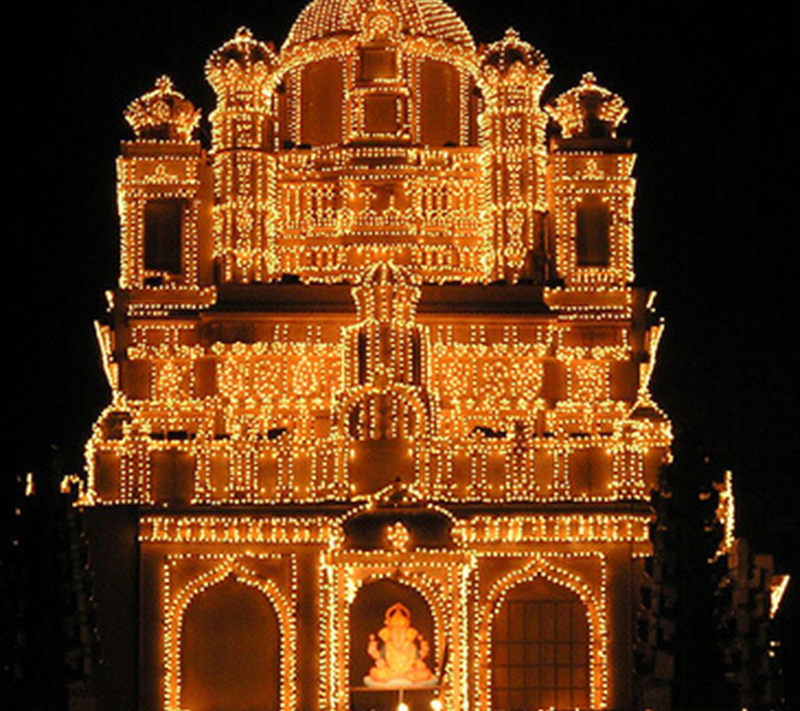 The temple is popular in Maharashtra and is visited by thousands of pilgrims every year. Devotees of the temple include celebrities and Chief Ministers of Maharashtra who visit during the annual ten day Ganeshotsav festival. 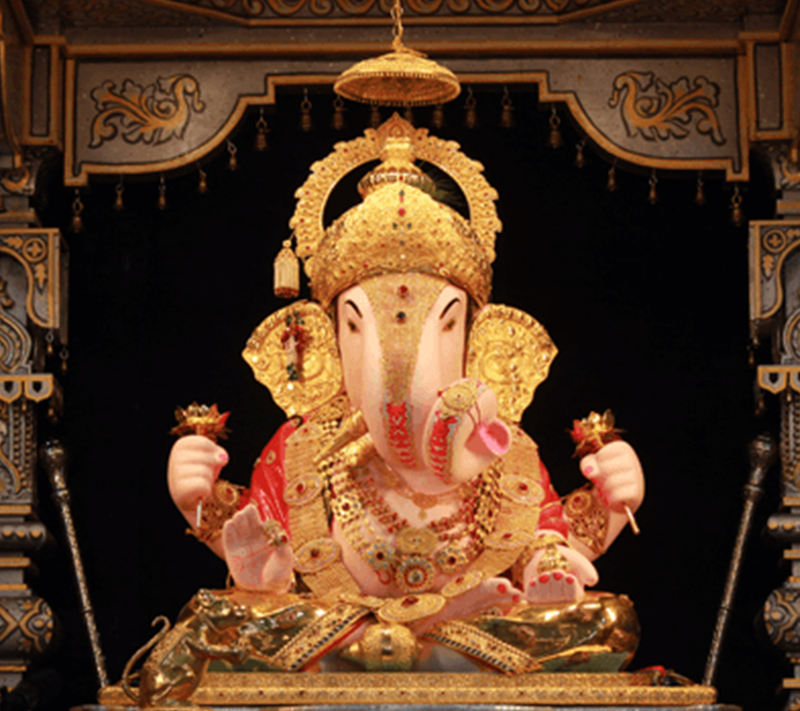 The main Ganesh idol is insured for sum of 1 crore(US$170,000). 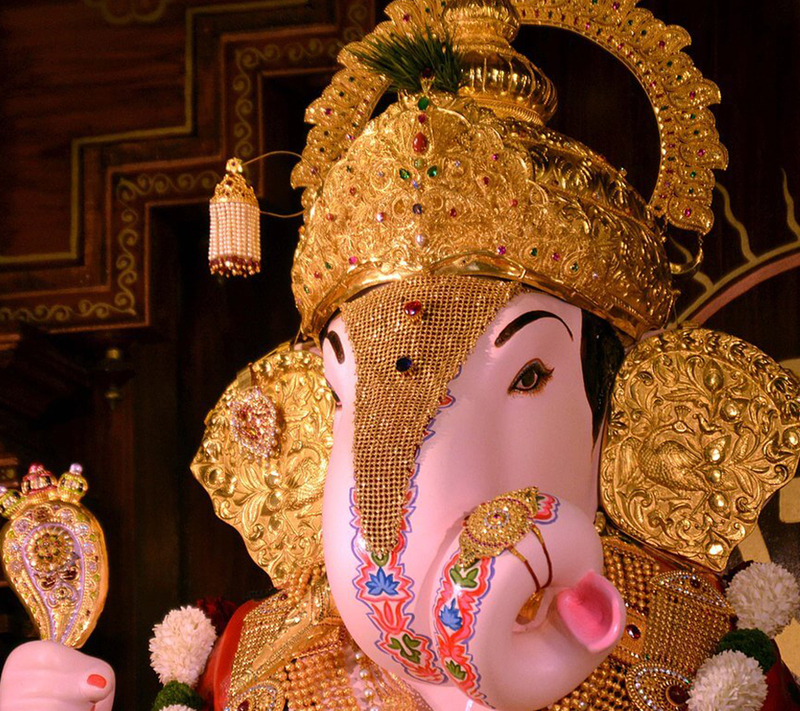 The Halwai Ganapati Trust carries out philanthropic work from the donations received, and is one of the richest in Maharashtra.The trust operates an old age home called Pitashree at Kondhwa in Pune. The home was built at a cost of 1.5 crore (US$260,000) and opened in May 2003.In the same building the trust provides housing and education for 40 destitute children. Other services provided by the trust include ambulance service for poor and health clinics in tribal belts of Pune District.